TENA What is your Oooops moment? 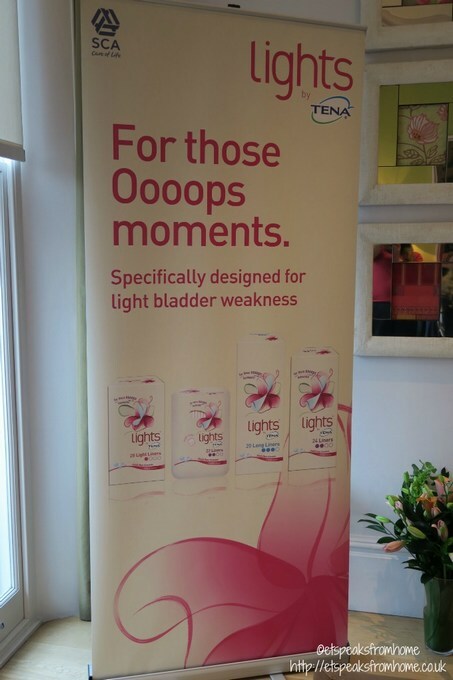 Recently, I was invited to attend a TENA event along with others to learn about the problem of light bladder weakness, TENA products and share our oooops experiences. Bladder weakness is as common as mis-sending a text and more than a third (35 per cent) of women still consider light bladder weakness to be a taboo subject. It can be a cringing topic to discuss and lights by TENA hope that through this campaign, they increase the awareness and get others to talk about it. Incontinence in women is far more common than we imagine but most women won’t talk about it. I did suffer terribly and have seeked ways of getting help and reviewed a Kegel 8 Mother Nurture. Along with discovering what the biggest Oooops moments are, the survey also shows that 51 per cent of women who admitted to experiencing light bladder weakness, Oooops moments often occur as a result of unexpected leaks. Such little leaks can be triggered by everyday activities such as sneezing (44 per cent), coughing (36 per cent) or laughing (32 per cent). Did you know that TENA has launched their most absorbent product yet, the new lights by TENA Ultra towel, to keep you feeling secure and confident all day long? We saw it being tested along with another brand product and the result was amazing. Lights by TENA Ultra towel was twice as absorbent and the towel felt absolutely dry. The towel is ultra-thin and comfortable to touch too! Specifically designed for the one in two UK women that experience light bladder weakness, lights by TENA Ultra Towels combine the security of Ultra Towel technology with an ultra-absorbent Quick Dry Core and FeelFresh™ technology that locks in moisture and controls odour, providing the ultimate protection against unexpected little leaks. The lights by TENA Ultra Towel comes individually wrapped in packs of 16 and has an RRP of £1.99. Free samples can also be ordered online at www.lightsbyTENA.co.uk. Also give them a new LIKE on their Facebook page! Did you know that they also have a free app to remind you to do your pelvic floor? You can download it on iTunes or Google store. Give it a try and I hope it helps you to make a difference. Now lights by TENA is giving this goody bag to one of my followers! So good luck and enter through Gleam! Also, remember to check out the rest of my giveaways! Your details will be passed to TENA, but will not be passed onto any third parties by ET Speaks From Home. The prize (subject to availability) will be sent directly to the winner from TENA. Competition starts on 12/11/2015 12 am – 13/12/2015 11.59pm. 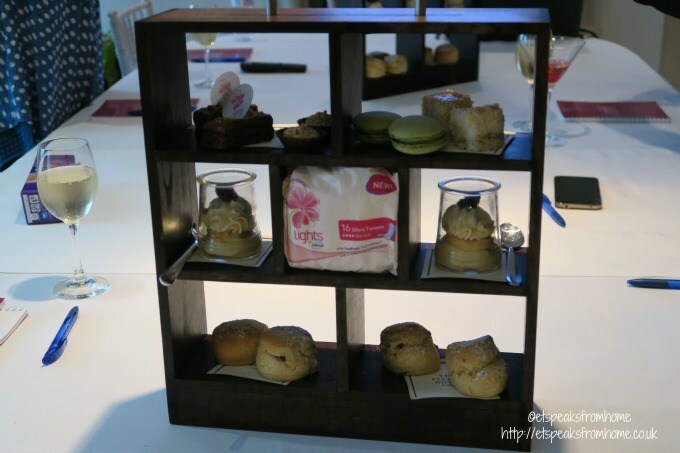 Disclosure: I was invited to the event for afternoon tea, a facial and a goody bag and not requested to blog about it.